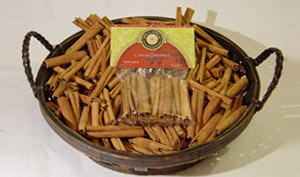 Known as one of the oldest known spices, and even mentioned in the Bible, this native Chinese flavor packs a sweet spicy aroma and a harsh taste that is more pungent than Ceylon cinnamon. Adds a kick to mulled cider. Use in savory Southeast Asian sauces, curries, soups and desserts. Simmer in Vietnamese beef soups and stews.